Good news! Preschoolers are less likely to be overweight! Earlier this week, a paper was published in the Journal of the American Medical Association (JAMA) reporting the prevelence of obesity in the United States from 2011-2012. The Centers for Disease Control and Prevention (CDC) collects information from people all over the country and reports their findings every other year. These data are widely used in everything from news stories to policy documents to grant proposals. If you've ever heard someone say "In the United States, one-third of all adults are overweight or obese" chances are she was referring to these data. In this most recent report, there was some exciting news! Although obesity rates didn't change much in most of the age groups, there was a significant decrease in the number of preschool-aged children who were classifed as overweight, from nearly 14% in 2003-2004 to 8.4% in 2011-2012. There is so much work going into the prevention of childhood obesity at local, state, and national levels and this report shows that these efforts are having an impact. While nearly 10% obesity among preschool children is far from desirable, it is good news that we are finally reversing course on such a challenging and devastating public health issue. Reference: Ogden CL et al. Prevalence of Childhood and Adult Obesity in the United States, 2011-2012. JAMA. 2014; 311: 806-814. For those of you new to our blog, welcome! 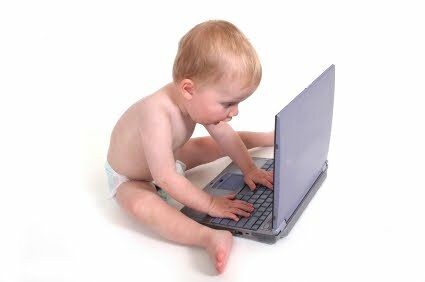 We would like to tell you how our blog works and where you can find "The Basics" of Baby Behavior, which is a great series of posts to start with if you are new, or if you haven't been around here in a while. You can begin with our overviews on your baby's cues, crying, and sleep patterns. Everything else we've posted is available to you and there are a few ways you can find what you are looking for. On the left side, in the section titled Blog Archive, you can find links to every blog we've posted (the titles of each blog are listed with the most recent at the top). If you have a specific topic you are interested in, you can use the keyword links, in the Labels section, to find related entries. If you just want to browse full entries, you can use the older posts link at the bottom right of the page. This link will take you through the posts, beginning with the most recent. We hope that you find the information we've provided useful. If you don't find what you are looking for or if you have any questions, please send us a comment. We love to answer our readers' questions and are always accepting new ideas for future posts! 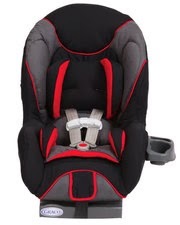 We thought it was important to bring to your attention a very large recent recall of Graco brand car seats. About 3.7 million child care seats have been recalled because the harness buckle can get stuck and children can become trapped. This includes 11 models sold from 2009-2013. What seems to be happening is that food and drink spillage are causing stickiness in the harness buckle causing it to get stuck. Parents should check the buckle and make sure it is clean; then contact the company for a replacement buckle. The company is urging parents to use a different car seat until a new buckle is received. For the company's full press release, which models are involved, how to clean car seat buckles and how to order a replacement, click here. We're busy training a new batch of Baby Behavior experts in Sacramento, CA. What an exciting week! 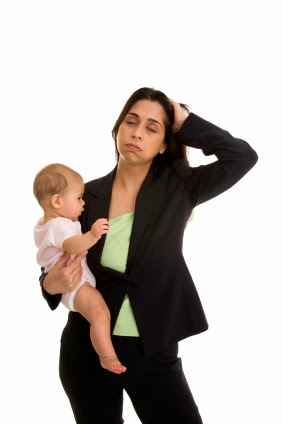 Maternal Stress: How Does it Effect Baby's Stress Level? Have you ever been around a person who is very stressed and found yourself tensed up after spending time with them? There is actually a scientific reason for these feelings. Scientists in the past have found that a person’s physiology actually changes after interacting or observing the stress of another person. But what about your baby? Can he or she sense your stress level? A recent study was conducted to determine if infants “caught” the stress of their mothers. After inducing a stressful state in the mothers, researchers reunited the mothers and babies to see if the mothers’ stress changed the babies’ physiology. They also compared how a positive versus negative stressful arousal of the mothers affected the babies. Let’s look a bit closer at the study details. Sixty-nine mothers of babies 12-14 months of age participated in the study. Researchers separated the mothers and babies and put the mothers through a stressful interview-type situation. Evaluators then gave either positive, negative, or no feedback to the mothers. Obviously, the mothers who received negative feedback experienced more stress and an increased heart rate. After the stressful experience, mothers were reunited with their babies. Soon after the babies’ heart rates were found to increase, as if they caught on that their mothers were stressed. The greater the mother’s stress response, the greater the baby’s; if the mother was exposed to a negative stress, there was an even bigger impact on her infant’s physiology. While the authors admit that there is more research needed to figure out how this happens, the results are interesting. 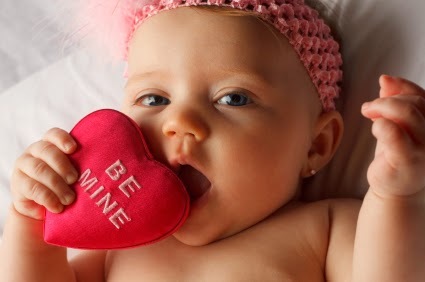 They hypothesize that babies may track their mothers’ emotions through changes in her smell, facial expression, or the tension in her voice. What do you think of this study? Have you noticed your baby picking up on the tension in your body? How does that affect your baby’s behavior? We’ve spent the last week sharing information about child care and finding the right fit for your baby (see part 1 here and part 2 here). Once you do find the right child care setting, how do you share information about your baby’s behavior with new caregivers of your baby? What’s challenging about it? Or, how has information about baby behavior helped a caregiver understand your baby better? We would love to hear your experiences so that we can share them with other parents! Today, in part 2 of our series on child care (to read part 1 click here), we’ll share some important questions to ask when researching child care programs. Choosing a child care program is an important decision that will shape your child’s development. 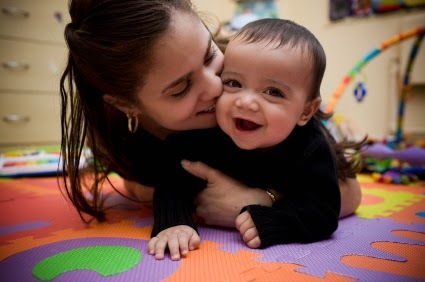 We’ve talked in the past about positive caregiver-infant interactions, and this is not only important for parents, but for other caregivers taking care of your baby on a regular basis. In another past post we shared tips for choosing a childcare provider (LINK), and now we’ll share some more specific questions to ask. The best way to answer many of the questions below is by observing the child care setting itself. Here are a few things to consider. Do caregivers talk to the infants? Do they sing and read to them? Are caregivers flexible enough to help with adapting your baby's feeding and sleeping schedule to their own, or to find a compromise? Can you find out these schedules before your baby starts child care so that you can begin transitioning your baby? Are caregivers patient with babies’ needs? Are the babies’ needs met in a timely manner? Do the caregiver’s feeding style and beliefs match your own? Is the caregiver flexible enough to let you provide input on your baby's naptime routine? Does the caregiver seem to enjoy working with children? Would you feel good about leaving your child there? What training do caregivers have in infant development? Do caregivers watch for and feed babies based on hunger and fullness cues or on a tight schedule? Are babies fed by a caregiver or left to drink a bottle alone? Does the caregiver make eye contact with the babies? Do they hug and cuddle them? What does the caregiver do when a baby cries? We hope you’ve found these questions useful! Next time we’ll explore more about the transition from home to child care. 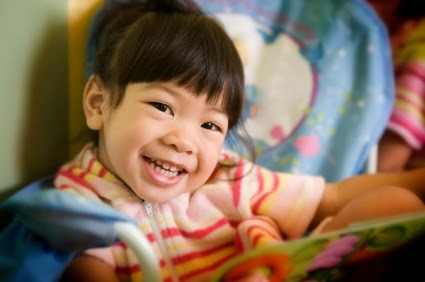 For other questions to ask when choosing child care that we gathered in a past post, click here.